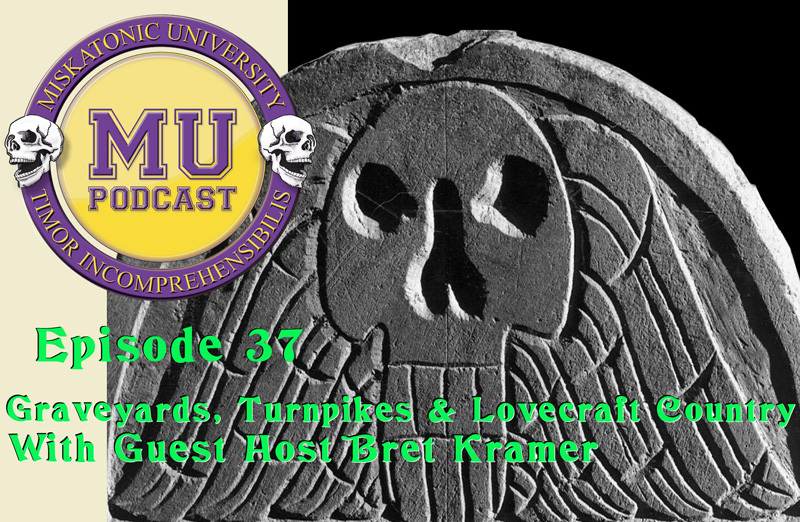 The friendly folks at the Miskatonic University Podcast invited me to join them for their newest episode (curiously, #37). In it we discuss a lot of topics, first and foremost being the newly launched Arkham Gazette, but also including graveyards, the Aylesbury Pike, my disdain for people who sell ghost story collections based on stories told by drunken teenagers. I also promised to buy Murph a meal at NecronomiCon. It was really lovely for the MUP gang to invite me onto the show and I had a great time chatting with the hosts, even if it was at a time only favored by the insane. Thanks guys. I hope to be back at some point… maybe when we have our next issue ready? Sorry for the lack of updates; I’ve been busy with day-to-day tasks, a vacation, and writing (more on the latter later). First off, Tomes in Progress was given a very kindly mention on Unbound Publishing’s blog, the site for news from Marcus Bone, creator of the Unbound Book and Monophobia. I do wonder what it says about the Lovecraftian RPG community’s pulse can be monitored by a blog that usually updates only a once a week. 🙂 I suppose a low pulse beat no pulse? If nothing else, I’ve added a link to Marcus’ blog to the main page. Since Marcus was the first person to publish any of my RPG work (the scenario “Baggage Check”), you should definitely check his site out. Secondly, I did have enough time to listen to the latest episode of the Miskatonic University podcast; another interesting discussion including a review of Atomic Age Cthulhu, using VOIP technology in games, and even the Unbegotten Source itself, Ubbo-Sathla. Lastly I’ve been working on a trio of submissions to the Unspeakable Oath- short fiction (done), a modern cult (done, but I think I can make it stronger), and a mysterious tome (incomplete, probably won’t make the deadline). It’s hard to know what they’ll think about the fiction, as that’s the most subjective type of submission. I do think the modern cult piece will be well regarded; it was one of the more difficult pieces I’ve worked on in a while. I have the core idea clearly in mind but articulating it in a useful way very difficult. Sorry to be cryptic, but I don’t want to give the piece away. It’s probably one of the creepier things I’ve worked up, I just worry I’ve lost some of the impact with my writing style, or a failure communicate well with the reader. Hey, I’ve had my 3000th page view. Yippee! Thank you Chinese spam sites, graveyard junkies, Cthulhu fans, and one guy in Albania.